The International Theatre Institute, its members, theatre professionals, theatre organizations, theatre universities and theatre lovers have celebrated World Day of Theatre since 1962. The day is celebrated in honour of all those who appreciate the art of theatre and recognise its potential for encouraging social, economic and political change throughout the world. Now, we know that not everyone is a fan of theatre. All we have to say about this is: You probably haven’t tried hard enough to find something that you like. So, keep looking, because it’s out there somewhere. Theatre is so much more than stuffy Shakespearean recitals, especially in Joburg. We showcase everything from grand Broadway musicals to the most intimate one man shows here. So, whether you are into song, dance or drama, there is bound to be something to keep you entertained. Celebrate World Day of Theatre to help keep the arts alive and thriving in the city. Or, just for the fun of it. You never know, you might just fall in love with this ancient art form. The Joburg Theatre (formerly the Civic Theatre) is one of the largest theatre precincts in Johannesburg. Housing the Mandela stage, The Fringe, The Space.com and The People’s Theatre, this performing arts space offers a little something for everybody. If you are a newbie to the theatre scene, we recommend starting out your journey here. Don’t feel intimidated by the grandeur of the place, it really is a welcoming space for all kinds. Stop by Stages, the theatre’s in-house restaurant, before heading into a show to really get the vibe of the place. You could bump into one of the performers grabbing a quick cup of coffee on their break. About: Oh, the places you will go when you are a fan of theatre. Visit the People’s Theatre with the kids (or by yourself), to catch the silliest Broadway musical to grace Joburg stages – Seussical JR – between March and April 2019. Dr Seuss fans will delight in seeing their favourite characters come to life all on one stage. Don’t miss it! When: 10 March – 28 April 2019. Click here to view show times and ticket prices. Details: For more information or to book tickets, contact the Joburg Theatre Box Office on 0861 670 670 or via email. The Market Theatre has been at the forefront of producing ground-breaking political theatre since the 1970’s. Situated right in the heart of jazzy Newtown, this precinct offers a taste of history to all its visitors. The walls are plastered with photographs of bygone eras, turning it into a living, breathing museum. This is also a great place to grab a quiet drink after a long day. About: Tribhangi Dance Theatre, in partnership with the Market Theatre, present ONE SPIRIT in celebration of their 30th anniversary. The festival will be a seamless synergy of cultures performed against the backdrop of Madiba’s 100 years. An impressive 15 dance groups will perform at the festival. Where: The John Kani Theatre, The Market Theatre, 56 Margaret Mcingana St, Newtown, Johannesburg. When: 28 March – 31 March 2019. Click here to view show times and booking details. Details: For more information, contact the Market Theatre on 011 832 1641 or via email. The Soweto Theatre provides the vibrant Jabulani community with youth development opportunities, community theatre initiatives and big budget showcases. Their mission is to foster a community arts project which engages audiences of all diversities. Situated right next to the Jabulani Shopping Mall, the Soweto Theatre offers visitors a uniquely African theatre experience with all the trimmings of big budget international theatre. About: The Soweto Melodic Voices group have one message for South African audiences this Human Right’s Month: “STOP THE KILLING OF OUR WOMEN AND CHILDREN!!!”. Witness their act of clear defiance, as they take audiences on a beautiful journey through spiritual gospel moments to raucous dance tunes, in protest of violence against women and children. Where: Red Theatre at the Soweto Theatre, Cnr. Bolani Rd and Bolani Link, Jabulani, Soweto, Johannesburg. When: Thursday, 21 March – Friday, 29 March 2019. Click here to view show times and booking details. Details: For more information, contact the Soweto Theatre on 0861 670 670 or 010 446 1462, or via email. POPArt is the gutsy, provoking influence on the Joburg theatre scene right now. This is the place to go for arts students, experimentalists and anyone looking to have their socks blown right off their feet. Located in the bustling Maboneng district, this performing arts centre offers the best in contemporary theatre. About: Blaq Widow and Queen Bling are back. These lip syncing, heel wielding, pageant prancing slay “kweens” are here to offer Joburg audiences the best of their worst. So, prepare to be assaulted by glitz, glamour, blinding colour and glitter. Note: This is definitely not one for the kids. Where: POPArt, 286 Fox Street, Maboneng, Johannesburg. Details: For more information, contact POPArt on 083 245 1040, or via email at popartjhb@gmail.com. 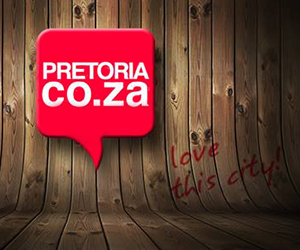 The Pieter Toerien theatre at Montecasino is renowned for bringing the best in international theatre to our shores. From Matilda The Musical to Agatha Christie’s The Mousetrap, the Pieter Toerien theatre is the place to visit if you are a fan of Broadway and West End hits. While not as grandiose at the Teatro stage at Montecasino, these smaller venues are comfortably intimate while maintaining all the trappings of mainstream commercial theatre. This is a place for the whole family, so tag granny and the kids along for a fun day out of the house. About: Stephen Sondheim’s Into The Woods is a delightful musical retelling of some of your most beloved fairytales. Follow Cinderella, Rapunzel, Jack and the Beanstalk, and Red Riding Hood as they venture deep into the dark woods on legendary quests which sometimes end in hilarious consequences. Where: Pieter Toerien Main Theatre, 1 Montecasino Boulevard, Fourways, Johannesburg. When: Friday, 8 March – Sunday, 14 April 2019. Click here for show times and booking information. Details: For more information, contact the Pieter Toerien theatre on 0861 915 8000 or via email at info@pietertoerien.co.za.